When doctors are not supervising patient treatments, patients can get hurt and Medicare and Medicaid can get ripped off. Under the False Claims Act, whistleblowers who help the Government recover money are entitled to 15% to 30% of what the Government gets. If you know about a hospital, nursing home, home health agency, doctor, or other medical provider that is gaming the system by billing for treatments that a doctor is not supervising, talk to an Atlanta healthcare fraud attorney at The Wallace Law Firm, LLC today. Discuss filing a whistleblower False Claims Act lawsuit with us and we can help you stop the fraud. Attorney Lee Wallace has been named one of Georgia’s Super Lawyers®, Top 100 Lawyers, Top 50 Women Lawyers, and Top 100 Trial Lawyers. She is a reputable attorney who knows how to secure results. We can help you stop fraud.  Learn more during a FREE evaluation of your case: (404) 814 0465. Doctors undergo years of education and training before they are allowed to treat patients. When the Centers for Medicare and Medicaid Services make rules about when they will pay for medical treatment, they take into account the fact that the doctor has extra training, both when they consider who should perform a procedure and when they consider how much they should pay for the treatment. For some medical services, Medicare, Medicaid, TRICARE, CHAMPUS and other healthcare programs use a three-tiered system for reimbursement. Medicare (etc.) will pay the highest amount to a physician who treats the patient himself. Medicare acknowledges that, because the physician has years of training and education, he should be able to perform the procedure competently and should be reimbursed commensurately. Medicare will pay a lesser amount if the physician supervises a non-physician performing the work. For these treatments, Medicare has determined that a non-physician can adequately deliver the treatment, but in order to make sure that the quality of the treatment is preserved, a physician should supervise the work. At the same time, Medicare acknowledges that the work is being performed by an individual who is not trained in the same way a doctor is, and therefore Medicare pays less for the treatment. If the treatment is performed by a non-physician who also is not supervised by a doctor, then the reimbursement depends on the type of treatment. For some treatments, Medicare is willing to reimburse the non-physician (assuming the non-physician is appropriately trained and licensed), but at yet a lower rate since it no longer has to reimburse the highly-educated, and hence expensive, doctor for any of his time. For other treatments, however, Medicare has determined that the treatment simply should not be given without a physician’s supervision. For these treatments, Medicare will not pay for the treatment at all unless it is performed by a physician or under his supervision. Are you concerned that a healthcare provider is upcoding treatments or neglecting physician supervision entirely? Talk to our team today in a free consultation about being a whistleblower. First in her class at Vanderbilt University, Lee Wallace of The Wallace Law Firm, LLC graduated with honors from Harvard Law School. She dedicates her practice to representing whistleblowers. Thanks to a whistleblower, the Centers for Medicare and Medicaid Services (CMS) recovered $3.57 million in a False Claims Act lawsuit involving a New York company providing magnetic resonance imaging (MRI) services. In the 2013 settlement, Imagimed LLC and its former owners and chief radiologist were accused of a frightening lack of supervision during MRIs. The Department of Justice said that the company, which was doing business as Open MRI, let non-physicians perform MRI’s with contrast dye, even though “a potential adverse side effect of contrast dye is anaphylactic shock.” Open MRI submitted reimbursement claims to Medicare, Medicaid and TRICARE, even though CMS rules say that MRI scans that use dye have to be supervised by a physician. The Open MRI group also was accused of violations of the Stark Law and the Anti-Kickback Statute. The whistleblower (also known as a qui tam relator) in the case was a local radiologist. As the False Claims Act dictates, Radiologist Dr. Patrick Lynch was paid $565,000 of what the Government recovered. Baylor University Medical Center wound up paying $907,355 to settle Department of Justice allegations that the Medical Center was billing for radiation treatments when it had no evidence that physicians had been supervising the treatments. Under Medicare and Medicaid rules, a hospital has to document that physicians are supervising radiation oncology treatments, in this case intensity modulated radiation therapy. The therapy, which the Government called “sophisticated,” is used for certain, specific types of cancer where doctors must protect the organs and tissue nearby. To find out more about lawsuits involving a lack of appropriate supervision by doctors, contact The Wallace Law Firm, L.L.C., today. We are ready to put our over 25 years of experience to work for whistleblowers just like you. Call us at (404) 814 0465 to begin.